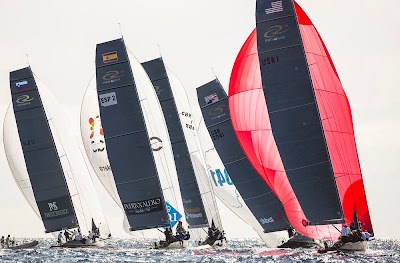 The wind gods played ball on the penultimate day of racing at the Calero Marinas RC44 World Championships. An 8-13 knots breeze graced the course throughout the day, allowing the race committee slot in four races. Consistency was key and the on form boats were Ironbound and Team Aqua, who sit on equal points at the top of the leaderboard going into the final day of racing. It was another day where big gains and losses were made on every leg and mark roundings were incredibly tight. After one general recall the fleet got away. Synergy Russian Sailing Team led round the first lap having popped out of the right on the first beat. 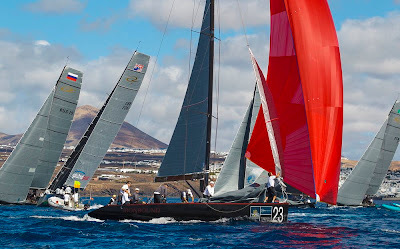 Rounding the leeward gate in third Peninsula Petroleum tactician Vasco Vascotto chose the left gate, jumping John Bassadone’s team into the lead. 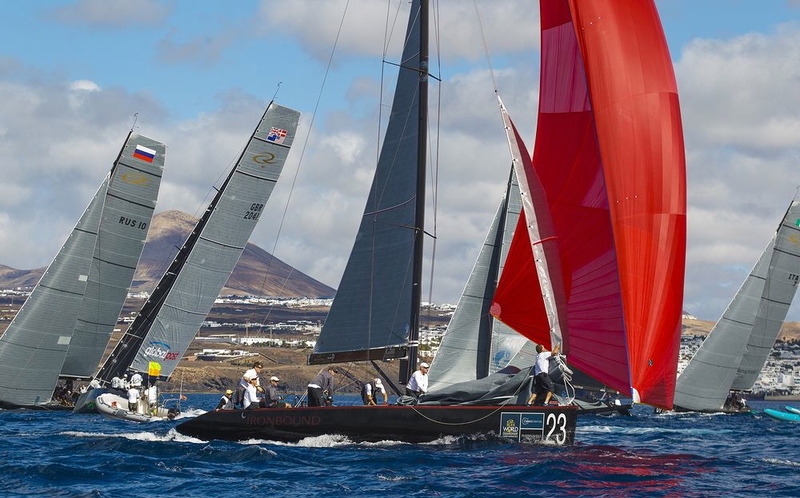 The Gibraltar based team held off the competition down the final run to take their first race win in Lanzarote, Synergy dropping back to sixth. Valentin Zavadnikov at the helm of Synergy bounced back in the next race to win by a comfortable margin, if there is such a thing in RC44 racing. Behind them it was a photo finish for second place between five boats, all crossing the line simultaneously. Race one winner, Peninsula Petroleum taking second and Katusha third. Race three was equally as tight, although David Murphy led from start to finish it was not an easy win. Rounding the final windward mark the American team were overlapped with Team Aqua. Chris Bake opted for the early gybe, losing four boats on the final run that saw the fleet compress, Team Nika take second and Team Italia third. The wind increased for the final race of the day touching 13 knots at times. Gazprom Youth Challenge had been slotting in the most consistent results all day, their 4,5,4 scoreline saw them placed at the top of the leader board going into the final race of the day. 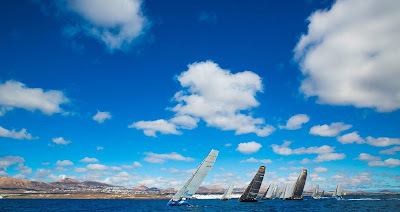 Heading to the first windward mark Kirill Podolosky with young tactician – Olympic Laser sailor, Igor Lisovenko – had taken control of the race. But a mistake trying to squeeze round cost them dearly, a penalty put them back in last position, the Russian team could only recover to 13th by the end of the race. Team Aqua reversed the cards with Ironbound in the final race of the day. Ironbound lead round the first lap, but a call by Aqua’s tactician Cameron Appleton to go hard left on the second beat paid massive dividends. 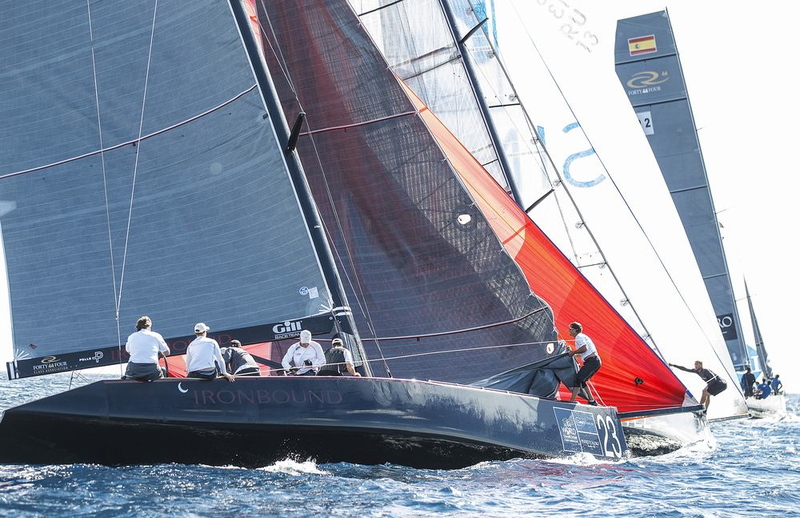 The current RC44 Tour Champions rounded the final windward mark with a 20 boat length lead and emphatically took the win. Ironbound lost three places down the run, their fourth place enough to put them back in the overall lead, on equal points with Chris Bake’s Team Aqua. 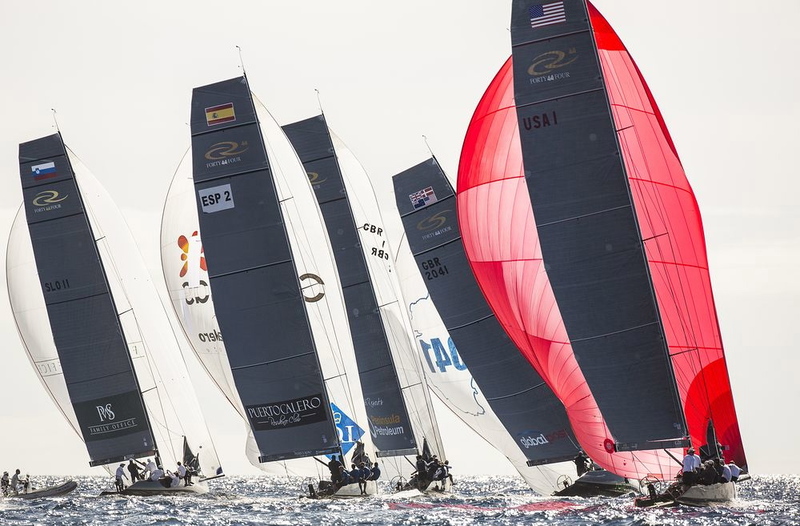 Gazprom Youth Challenge sits five-points adrift in third. 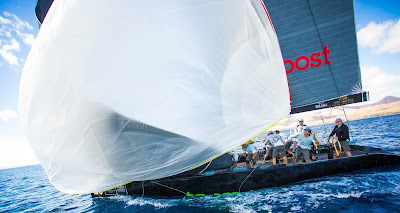 Although many of the owners in the RC44 fleet are firm friends off the water, rivalry is fierce within the class, as David Murphy made clear at the prospect of stopping Team Aqua doing the treble this year. “It would make my regatta to finally beat Chris (Bake), we’ve finished ahead of him before but he’s always up there so if we get a chance to beat him it would be very sweet. This is a World Championships so it would be a shame for Aqua to win the Worlds too, it might be a little too much for everyone to handle."